We’re delivering on open access, will you join us? We kicked off Open Access Week with this blog by Steven Inchcoombe, Chief Publishing Officer at Springer Nature. 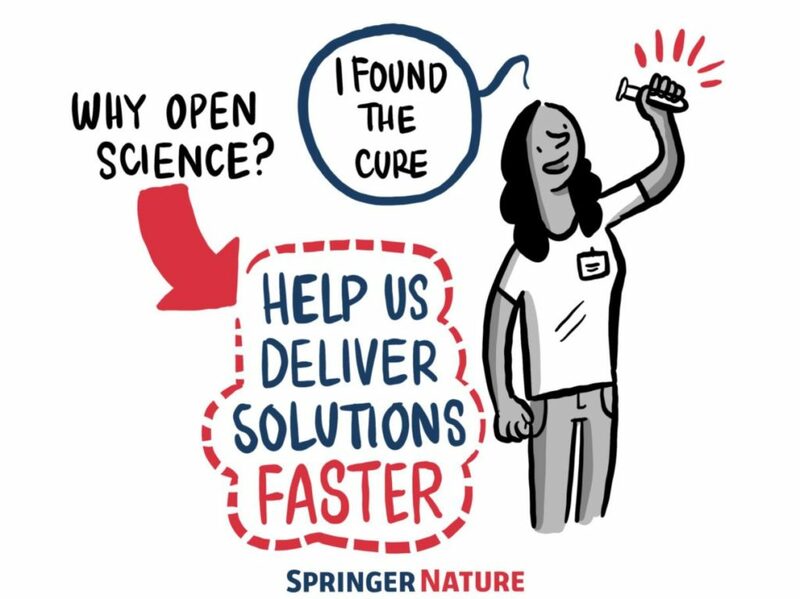 Steven announced an open access milestone at Springer Nature: In four European countries, over 70% of our journal articles are now being immediately published (gold) open access. Steven also details the myriad of benefits that an open approach to research brings. On Tuesday we proudly published our Research in Progress report. The report highlights our work and achievements over the past year and showcases our plans for the future. On the BMC blogs we shared Publishing Director Rachel Burley’s introduction to the report. Rachel highlights how we have moved from being BioMed Central, the open access publisher, to simply BMC, renewing our commitment to research in progress and innovation. The report also details how we have published nearly 70,000 open access articles in 375 journals between July 2016 and July 2017. Some of our proudest work showcased in the report includes the SpotOn 2016 conference at the Wellcome Collection (click here for information on SpotOn 2017), the fact that 84% of BMC authors rated their overall publication experience at their BMC journal as ‘excellent’ or ‘good’, and the fantastic winning images of our Research in Progress photography competition. The opening day of Open Access Week saw the publication of Figshare’s The State of Open Data annual report which details global attitudes towards open data. On Tuesday we shared a section of the report written by Grace Baynes, Director of Data & New Product Development for Open Research at Springer Nature, on how we can make widespread open data a reality. Grace talks about how data availability can benefit both reproducibility in science and productivity, as well as the roles stakeholders must take if change is to be effected. Wednesday saw Scientific Data’s annual event, Better Science through Better Data. Held at the Wellcome Collection in London, the conference talks included a guide to reproducible research, the role of academic libraries in supporting open access research, and the future of data sharing. There was a neat digital scribe, and over 2,600 tweets on the day alone meant it was trending in the London area. For those that weren’t able to attend, the event was live streamed on Facebook live. Have a look at all the conversation on Twitter, with the conference hashtag #SciData17, and the sessions will shortly be available here. On Friday, we had a warm gathering of BMC & SpringerOpen Editors in Shanghai. Under the theme “Editor and Publisher in Partnership”, the Editors’ Conference aimed to engage our external editors more by sharing Springer Nature’s journey in China, emphasizing the value of open access and exchanging ideas between the external editors and our professional publishing & editorial team. We introduced to the editors the latest progress in BMC and SpringerOpen journals, especially the innovations in research and publishing, such as registered reports and open peer review. The BMC editorial team shared on hot topics in publishing, such as publication ethics, plagiarism and peer review, all based on their own rich experience. During the group discussion session, the external editors engaged in lively discussion on gaining support and building communities around the journals. We were especially pleased to see younger editors seeking advices from experienced senior editors, who generously shared. On Friday we announced that we had deposited more than 600,000 chemical compounds on PubChem: 40% of which being novel to the database. This addition offers more than 1.6 million links pointing back to open or free access documents. Documents from all chemistry and life sciences-related disciplines were automatically annotated using InfoChem’s chemical named entity recognition technology.